Seremban might not be as profic as Penang, Melaka or Ipoh when it comes to food, but the town still has plenty to offer. For the locals, only one kind of laksa exists and that term usually refers to curry laksa or curry mee depending on where you are from. 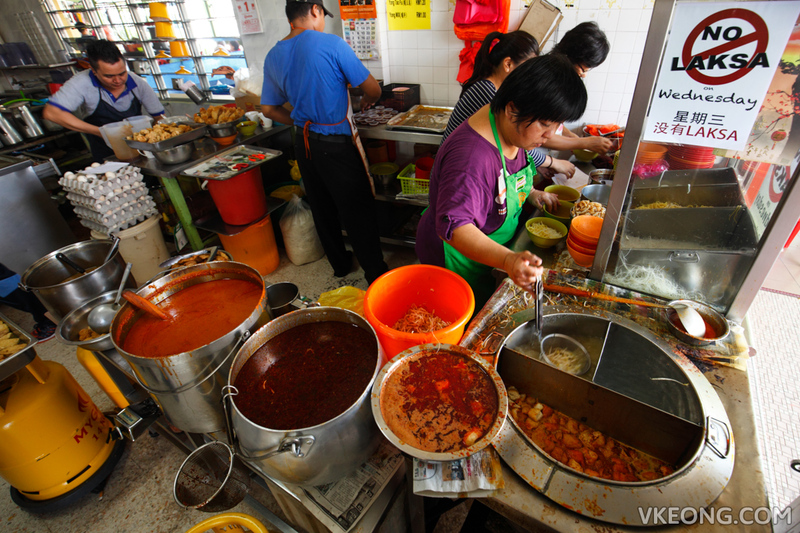 There are a couple of well known places where you can get great tasting laksa in Seremban. 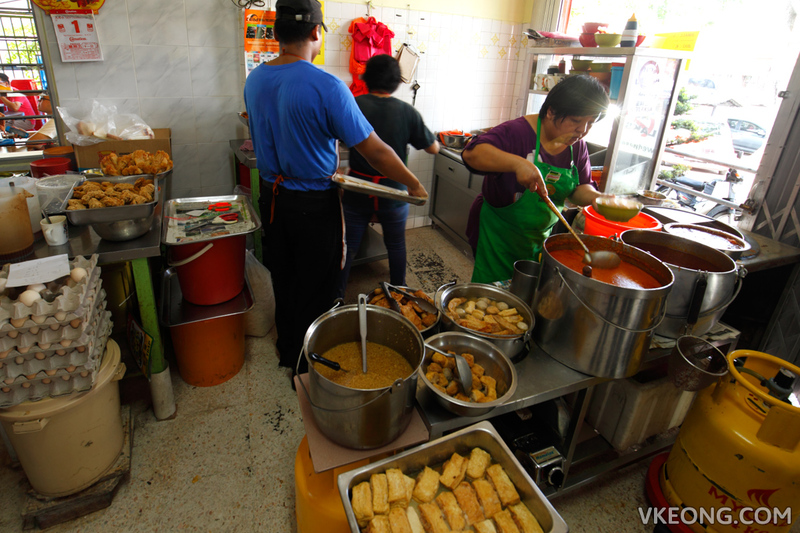 Among all, the most popular one has got to be Senawang’s Restoran Asia Laksa. Since it was a long weekend, the crowd was extraordinarily large. Besides tourists like us, even the locals came out in full force to enjoy their favorite breakfast here. Ordering is slightly tricky because you need to get hold on someone to write down your order. If not, you will be served later if another customer who came later gets to order first. While ordering, you can also be more specific such as only wanting chicken thigh and asking for more soup. But whether these requests will be entertained is another question. If it’s a busy day you should just accept whatever you are given. Although we were told that there was going to be a 40 minutes wait (and we were ready to wait for it), our noodles arrived in less than half an hour. A small serving is priced at RM4 while the big one with extra chicken curry is RM5.30. Cockles used to be part of the toppings but it has since been removed because of its scarcity. As you can see, the portion is large and they don’t skimp on the chicken curry. Instead of slices of chicken breast meat, I got two large pieces of bone-in chicken that were full of meat. Taste wise, I have to say the curry laksa was fantastic. The soup had a thick and rich consistency, aromatic and full of flavor. For an extra kick of spiciness, their homemade chili paste is a must. It’s so good that the customers have requested it to be sold separately, so if you like it you can purchase it in jars to take home. 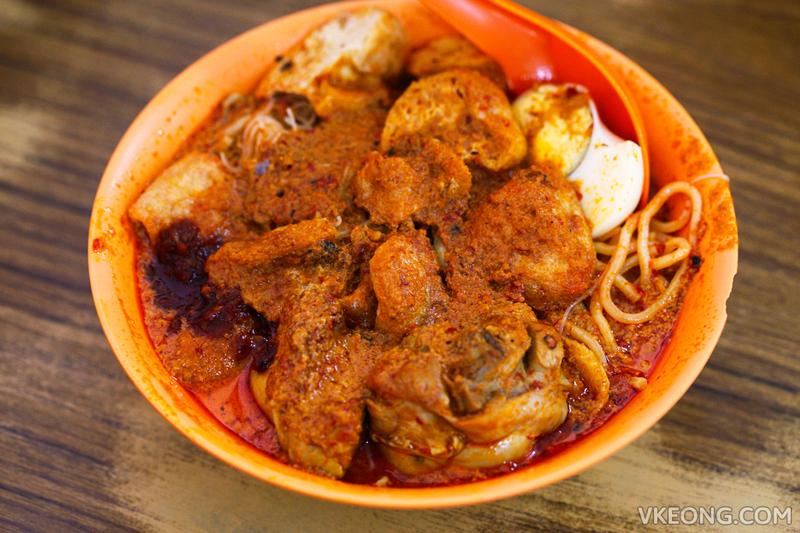 Besides laksa, noodle soup with yong tau fu is also available – great for kids or people who can’t handle spicy food. And as stated on a notice stuck on the stall, laksa is not served on Wednesdays. 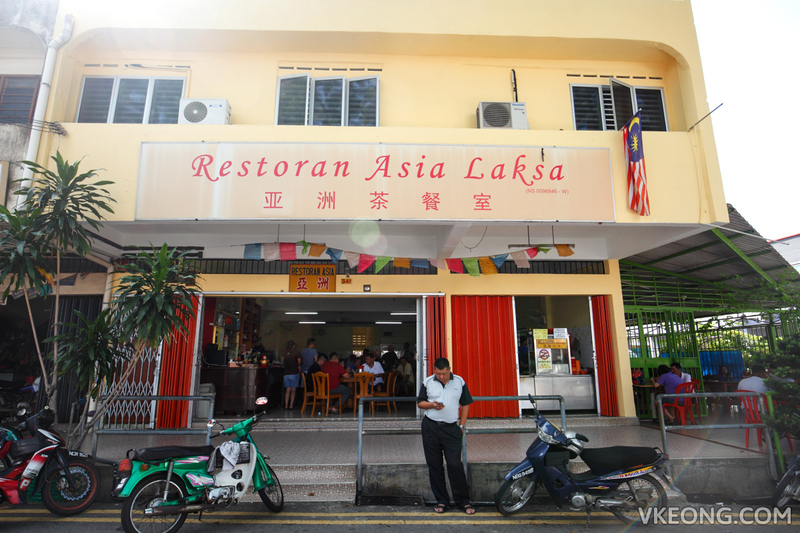 After some Googling I found that Asia Laksa actually has another branch in Seremban which is run by a relative. According to the sources, the laksa there is slightly different for having a less santan-ish broth. I will definitely check it out in my next visit. The post Curry Laksa @ Restoran Asia Laksa Senawang, Seremban appeared first on Malaysia Food & Travel Blog. KY eats – Laksa Fish at Restaurant Piao Siang, Sungai Petani 10 Penang Curry Mee To Eat in Klang Valley Long Kee (龙记) Penang Curry Mee @ Fresh Food Court Curry Chicken Bun @ Lukut, Port Dickson The Original Katong Laksa Since 1950s (Janggut Laksa) Penang Kuantan Road Original Curry Mee @ Restoran Mei Keng Fish Head Curry @ Restoran Kari Kepala Ikan (Jalan Pudu), KL KY eats – Curry Mee, CKT & More at Restoran Penang Corner, Kepong Alor Corner Curry Noodle (Jalan Alor Curry Mee) @ Bukit Bintang [Travelogue] Remembering Seremban.